The Carolinas hold a piece of every Southerner’s heart. And Charleston, being the quintessential charming Southern town it is, certainly ranks at the top of that heart strung list. Allow us to break it down in terms everyone can relate to: The Notebook was filmed here. 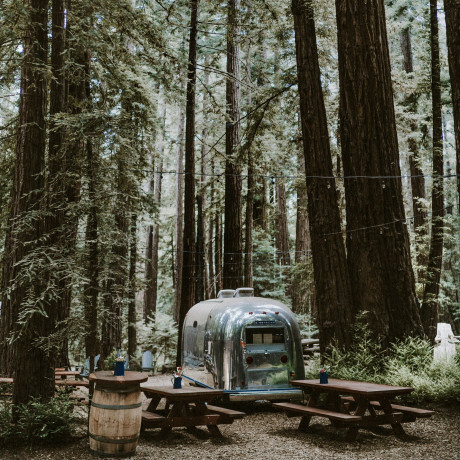 If that doesn’t describe the sweet Americana vibe you get on the streets of Charleston, just picture the giant overhanging oak trees and delightful hospitality South Carolina is known for. And then picture the most famous American love story of the 21st century taking place in the middle of that. 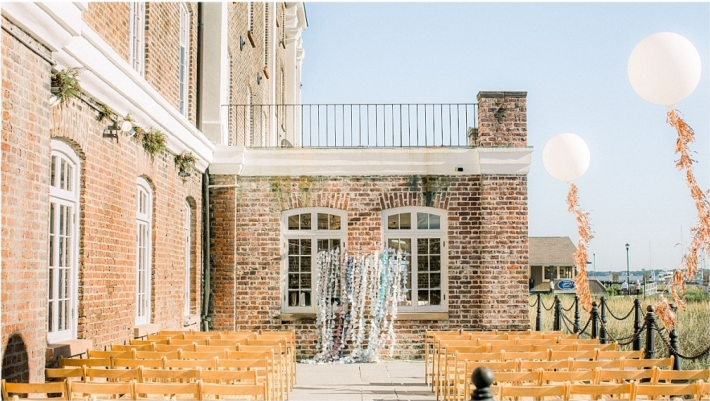 While Noah and Allie roamed the streets scoping out movie theaters and laying under traffic lights, you might find yourselves instead looking for a gorgeous wedding venue in Charleston. 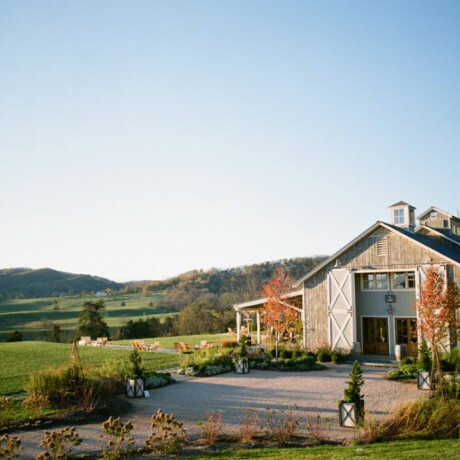 In such a case, we’ve searched near and far for the best wedding spots in South Carolina that run the gamut from boutique hotels to old plantation homes. 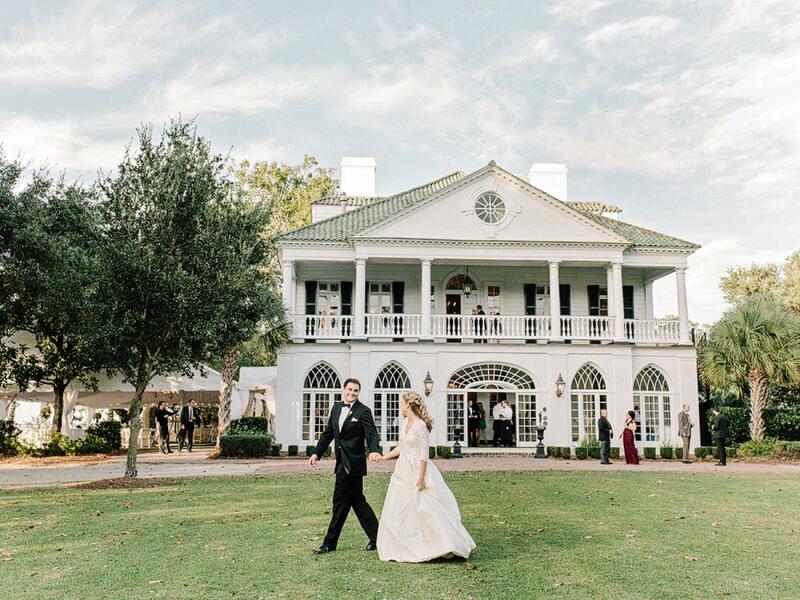 If a sweet Southern wedding is on your wishlist, check out these top wedding venues in and around Charleston. 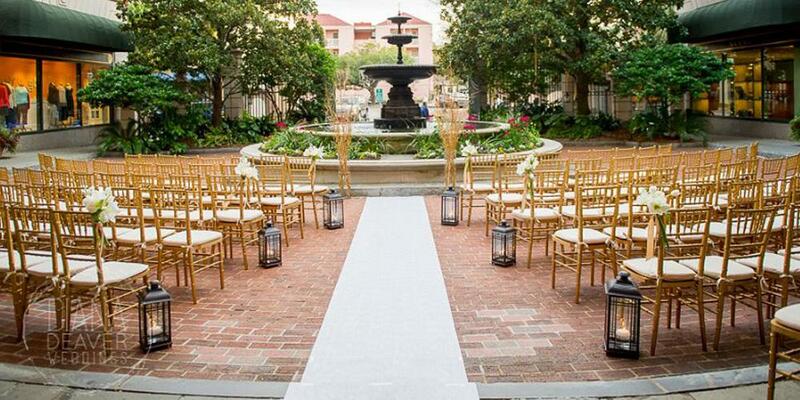 Wondering about room blocks for your wedding guests in Charleston? 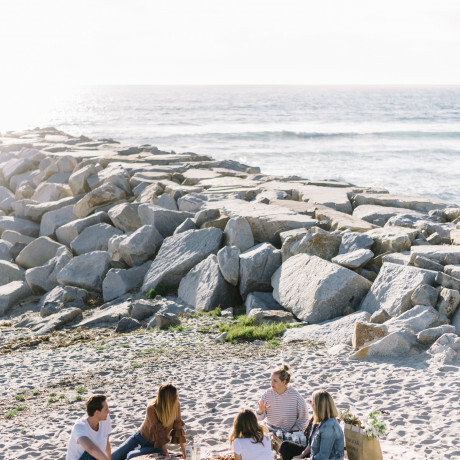 Check out our tips on booking block rooms & group rates. Contrary to popular belief, plantations are actually not a dime a dozen in the South, and finding one in the heart of town is even more of a feat. That said, Lowndes Grove does not disappoint. 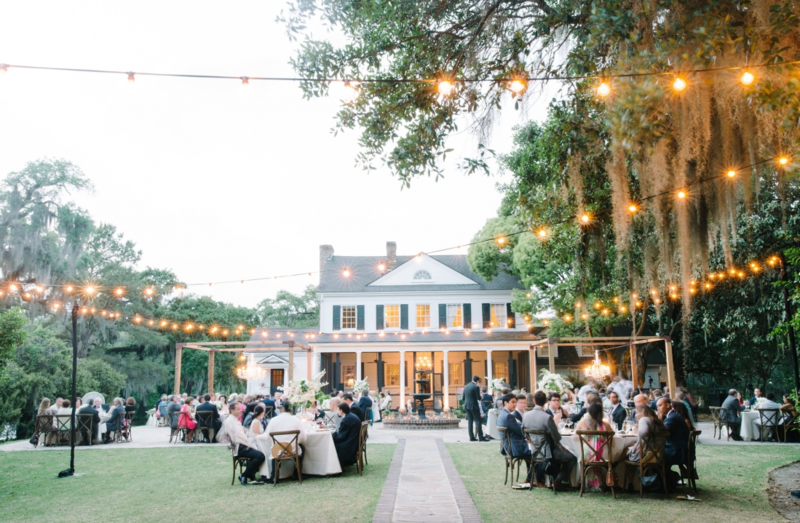 This beautiful Charleston plantation sits right in the midst of downtown and it overlooks the river (with a cute little pier) and an oak tree grove. Idyllic, right? Just to totally geek out on y’all, The William Aiken House is spotted in The Notebook. Remember that gorgeous scene when Allie is trying on a wedding gown? 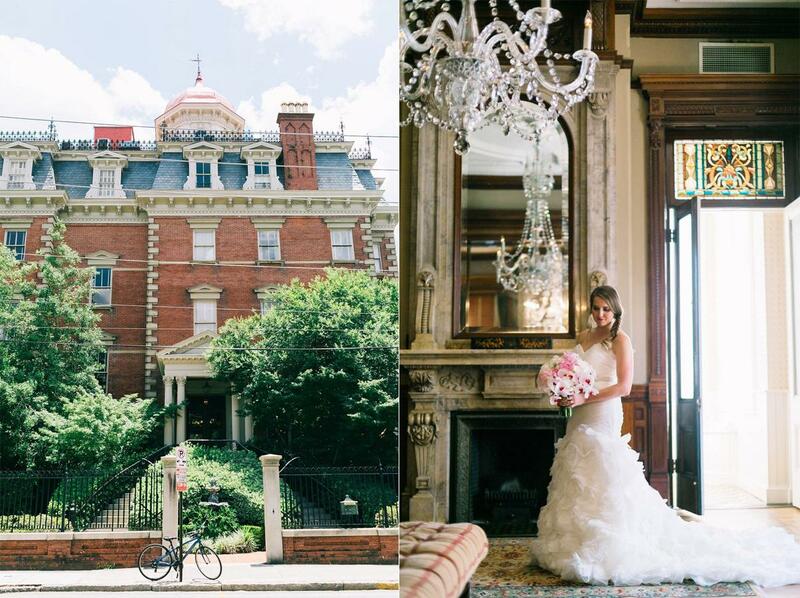 Yep, that took place at this stunning mansion with high ceilings, huge windows, hardwood floors, crown molding, and tons of natural light. There’s also plenty of outdoor space so you can mix it up by using both indoors and out at this beautiful Charleston estate. Hubba hubba. Cannon Green is whistling all the right tunes to qualify as serious eye candy. 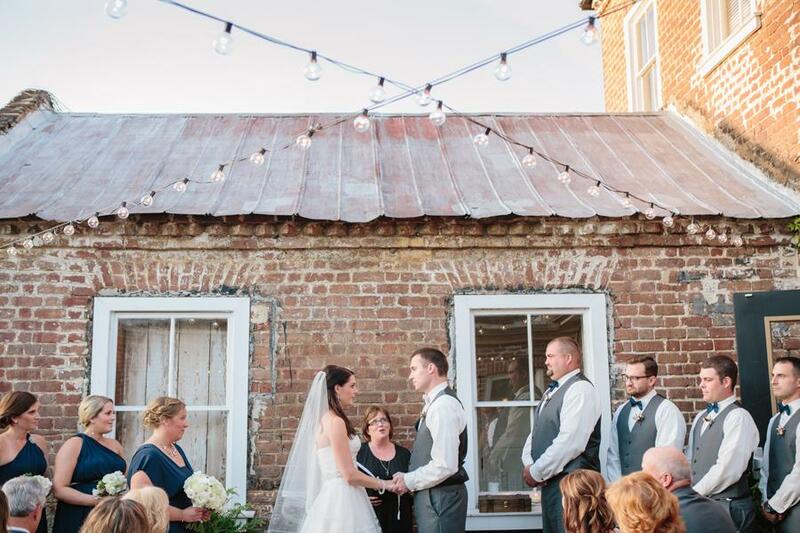 This awesome Charleston wedding venue is half old trolley warehouse and half 19th century home façade, with an amazing courtyard joining the two. A little rustic, a little modern, and a whole lot of charm lie beyond these walls. 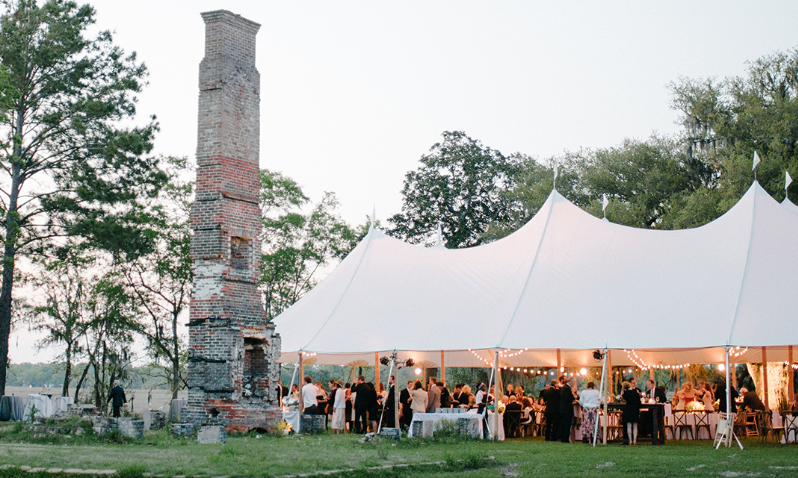 A mid 19th century antebellum rice mill, this epic Charleston wedding venue sits right alongside the Ashley River and has both indoor and outdoor party spaces. 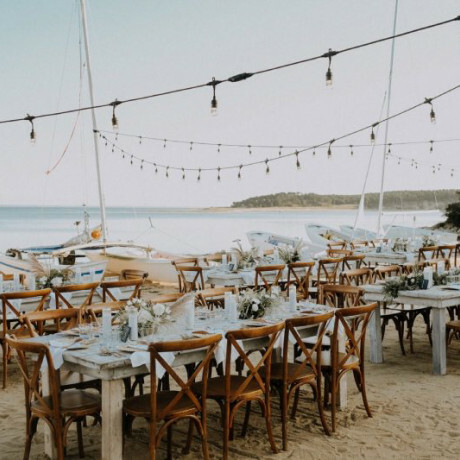 This makes for one incredible spot to get married overlooking the water right around sunset time. Guests can mingle a bit outdoors during cocktail hour then head into the brick lined interiors for an unforgettable bash. 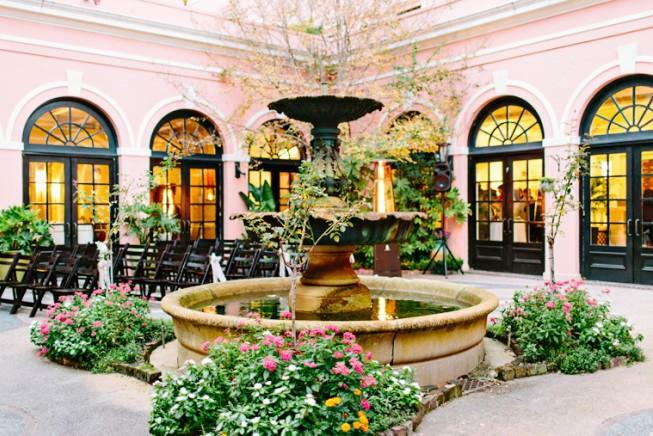 If you’re thinking about hosting a destination wedding in Charleston, this pretty pink hotel is about as iconic as it gets. They’ve been hosting weddings here since the mid 19th century. The Mills House is real close to Museum Mile, so there’s no shortage of activities to keep your guests entertained during a weekend stay. 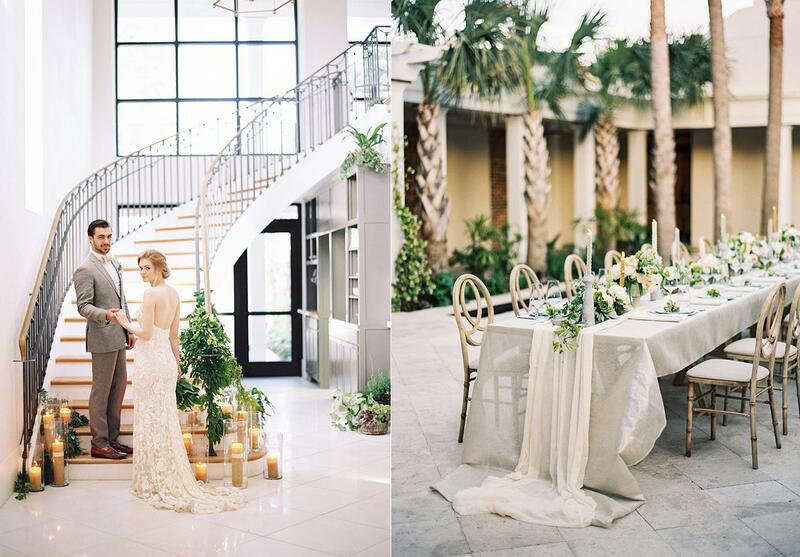 An 18th century Federal style manor, this stunning Charleston wedding venue opens out onto a couple of gorgeous courtyards. Even with its age, The Gadsden House boasts interior spaces that are modern and minimalist, perfect for adding whatever rentals you’re into so you can transform it into a bohemian party spot or a traditional elegant affair. Formerly an old cigar factory, fresh air has been breathed into this gorgeous warehouse in Charleston. With high white wood beam ceilings, whitewashed brick walls, hardwood floors, and flooding natural light throughout, The Cedar Room is one amazing historic property that looks right out onto the Cooper River. 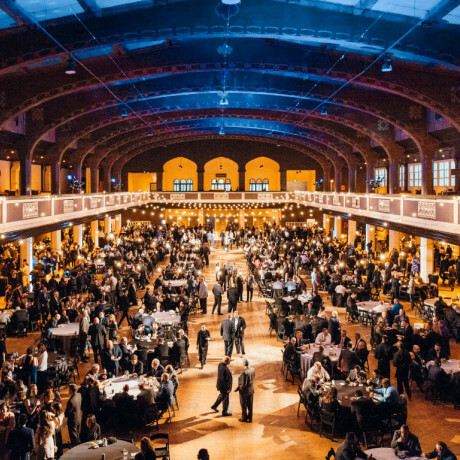 Whether you’re into a retro chic soiree or a wedding dripping in glam, anything goes at this wide-open space. Located in the oldest European settlement of the Carolinas, this Charles Towne Landing villa is surrounded by incredible gardens. Just a bit off the beaten path of downtown, this stunning wedding venue in Charleston has a vibe that’s entirely Southern. 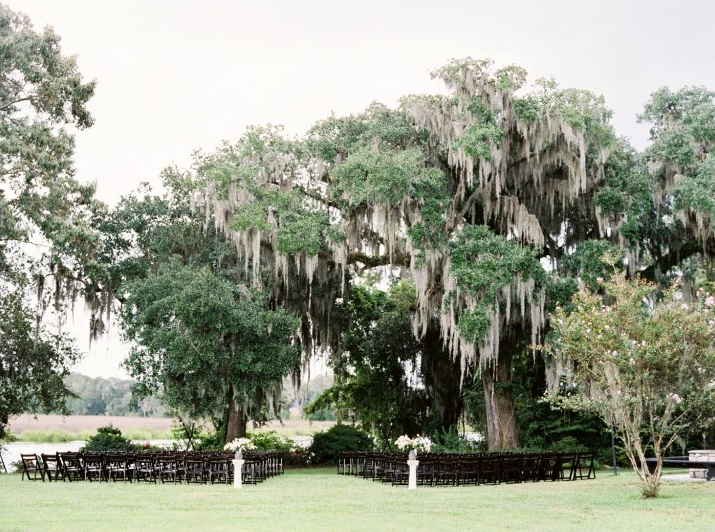 You could even post up for your family wedding portraits under an avenue of ancient oak trees dripping in Spanish Moss. Ooh-la-la-looove this beautiful plantation and its gardens. 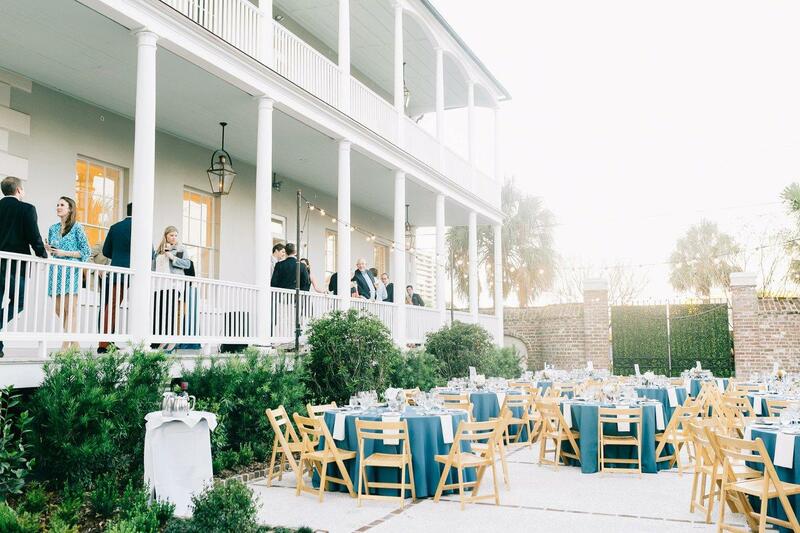 One of the most versatile venues in Charleston, the grounds here are perfectly manicured and flaunt a carriage house, conservatory, veranda, and pavilion on the banks of the Ashley River. 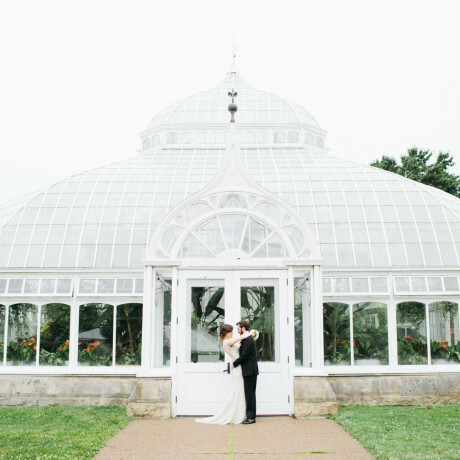 From ancient oak groves to maintained gardens, there’s a backdrop here for just about everyone. Just when you thought plantations were getting stale, we bring you one with the nation’s oldest gardens on-site. These gorgeous gardens date back to 1741 and overlook the Ashley River. With absolutely stunning grounds, this beautiful Charleston plantation could be the perfect spot for your secret garden themed wedding. Be sure to check out the cool 18th century guest quarters too. 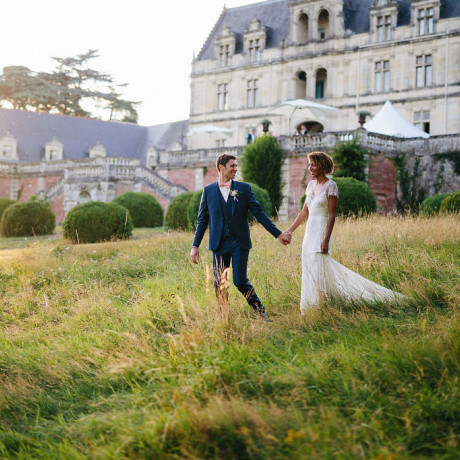 What’s more romantic than a wide-open field full of ancient oak trees and old ruins? Seriously, we can’t think of anything. 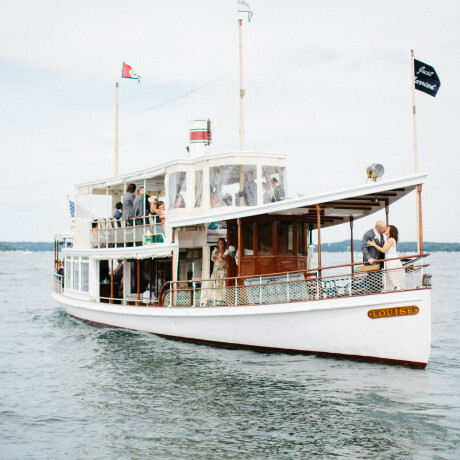 These old plantation grounds, set along the river for epic views, are perfect for popping up a cool sailcloth tent in a location no guest would ever have visited before. 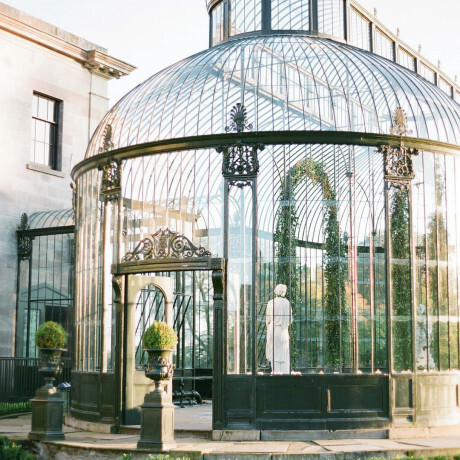 How’s that for a unique wedding venue in Charleston? 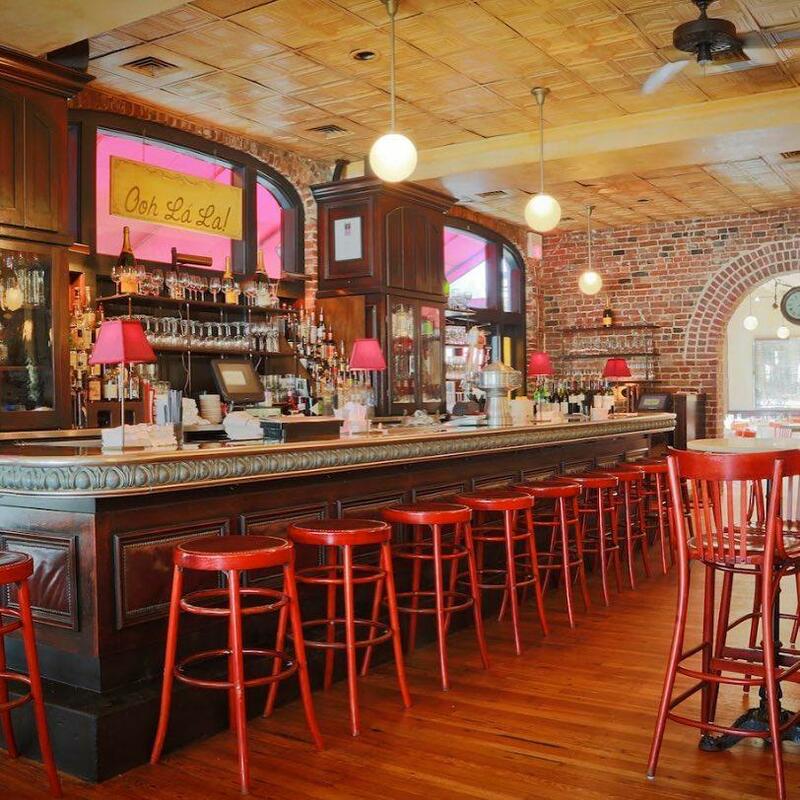 This spot is really kind of a Charleston institution. Set in the heart of Downtown Charleston, this 400+ room hotel is no small inn, but it has a charm all its own. There’s something about the service and the quaint décor that makes this hotel feel like the only one of its kind. Plus, it’s conveniently located to the historic district and it’s only about ten minutes from the beach. Located in the Historic District, this Charleston boutique hotel is traditional and sophisticated in décor. 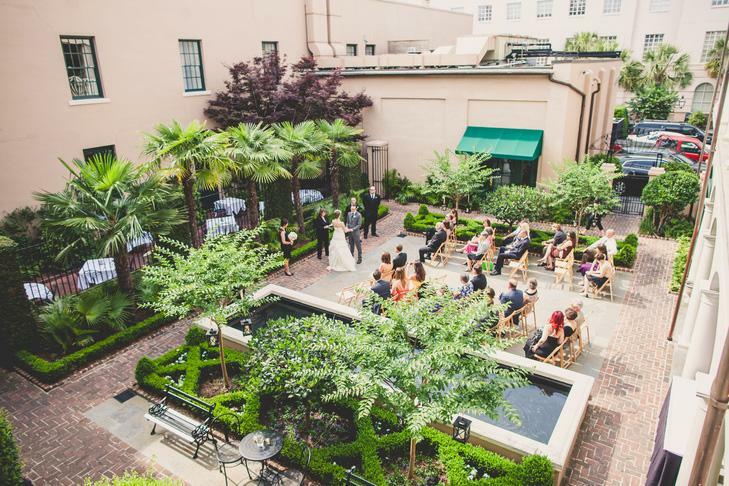 The outdoor courtyard makes Planter’s Inn an adorable setting for a wedding that flows between the indoor spaces and outside without needing a whole lot of bells and whistles to make this a memorable wedding location. Scoring a private rooftop patio ‘round these parts is no easy task, but we managed to find this gorgeous one. 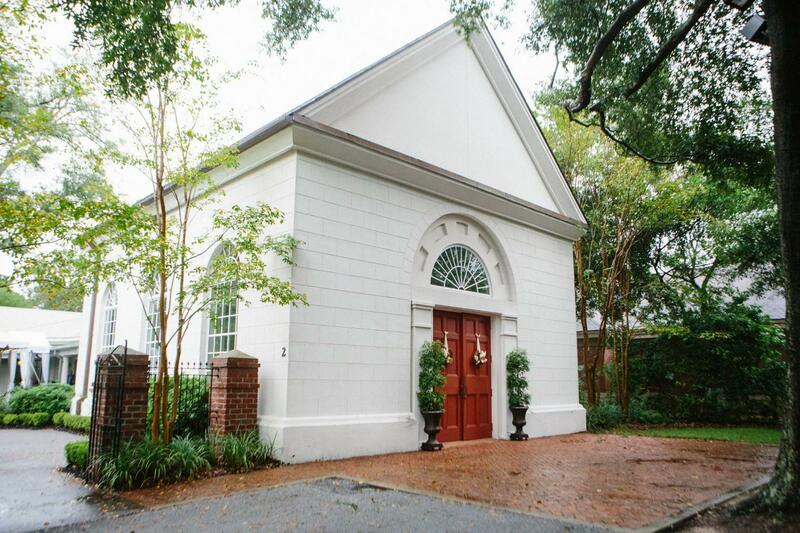 Built in 1760, this building is one of Charleston’s oldest digs. 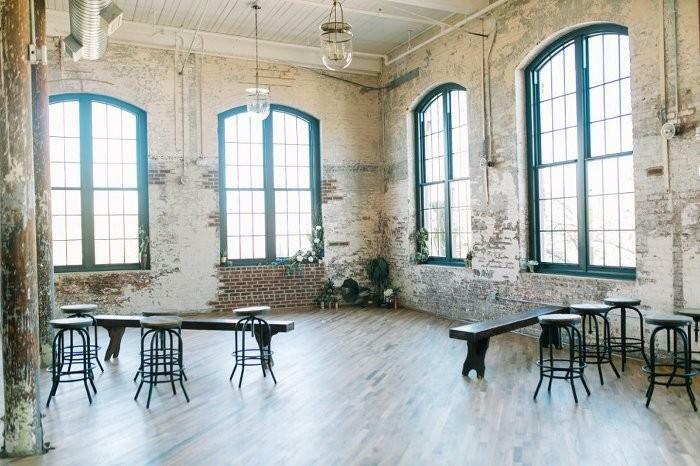 Fully renovated and embracing of the hardwood floors, old brick walls, big windows, and high ceilings, Upstairs at Midtown is an awesome wedding venue for anyone looking for a hidden space in this great town. 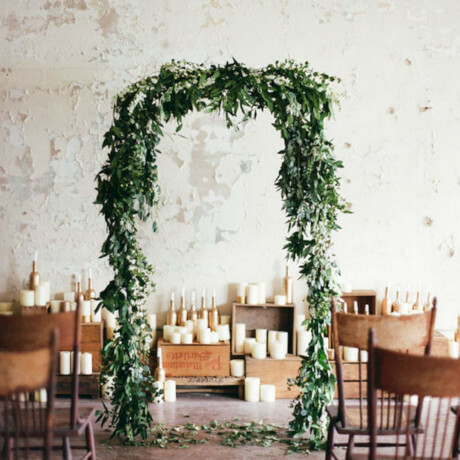 This elegant, light-filled space is non-denominational and totally welcoming, a lovely indoor space for an intimate ceremony. But wait, there’s more. 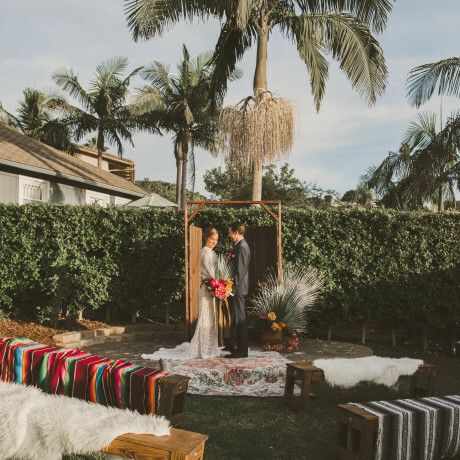 Coleman Chapel has a gorgeous little courtyard and a gathering hall so you can make this a one-stop wedding celebration for all. In full disclosure, the Wentworth Mansion is as grandiose as it sounds, and that’s all the more reason to love it. 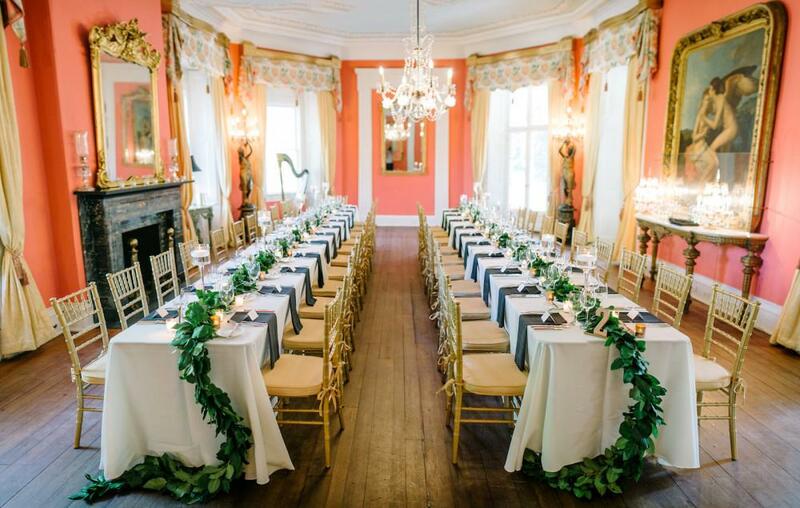 With marble fireplaces and drippy handmade chandeliers, this classic Charleston wedding venue is the perfect place to host a wedding even Gatsby himself would be envious of. Located in the heart of historic Downtown Charleston, this private event space is awesome for a group of about 200 guests. 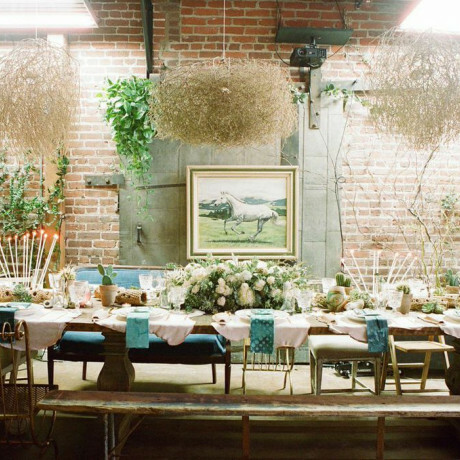 Whether you’re in it for a rehearsal dinner venue, a spot to host brunch, or a wedding reception, this high-vaulted ceiling venue with exposed brick walls and lots of natural light could be just the indoor venue space you’ve been searching for.